Welcome to the legendary world of The Great Escape! 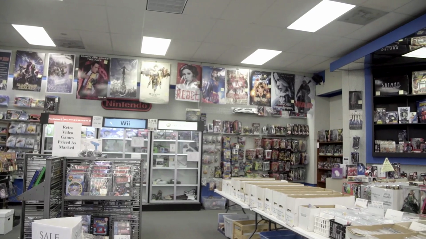 The mid-south's leading place to buy, sell & trade used, new, collectible and out-of-print DVDs, CDs, Records, Comic Books, Games & more since 1977! We're both a bargain store and a collector's paradise: we have thousands & thousands of used items in like new condition that cost a fraction of what you'd pay for them new. Additionally, we're loaded with the best selection of out-of-print collector's items in the mid-south! Rock, Jazz, Country, Blues and many more! Dell, Disney, Western, Atlas, EC and more! Sega, Gameboy, Atari, NES, SNES, Wii and more! Copyright © 2018 thegreatescapeonline.net All rights reserved.